e’s just the latest in a long line of demagogues and false populists who use deceit and “alternative facts” to confuse the public and to lead nations into ruinous behaviors. This quote, from an 18th Century French author, proves the point. We’re always on the lookout for quotes–contemporary and historical–that are pertinent to the current political environment. 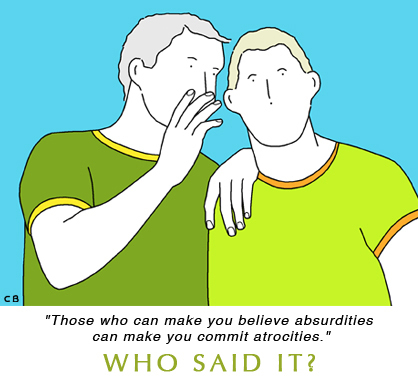 Check out our page full of our previously published illustrated quotes here. 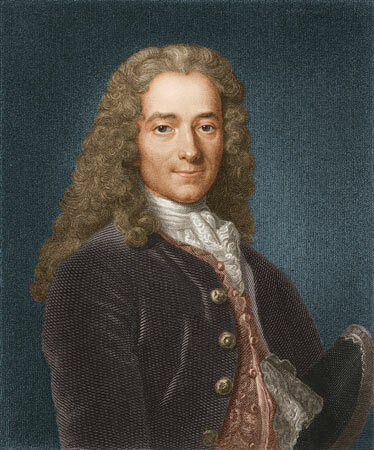 The author of this still-timely quote is Voltaire, [1694-1778], a French Enlightenment writer, historian, and philosopher famous for his wit, his attacks on the established Catholic Church, and his advocacy of freedom of religion, freedom of speech, and separation of church and state.